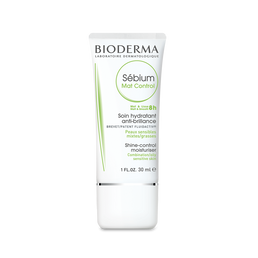 DERMATOLOGICAL ACNE SYSTEM: The only acne treatment system with Effaclar Duo to reduce up to 60% of acne in 10 days. Visible results starting day 1. Effective on blemishes, blackheads and whiteheads. 3-time winner of Allure's best of Beauty Award for Best Acne Treatment. Medicated Gel Cleanser: Active: Salicylic Acid, 2%. Inactive: Water, Sodium Laureth Sulfate, Decyl Glucoside, Glycerin, Sodium Chloride, Coco-Betaine, PEG-150 Pentaerythrityl Tetrastearate, Hexylene Glycol, Sodium Hydroxide, PEG-6 Caprylic/Capric Glycerides, Zinc Gluconate, Tetrasodium EDTA, Polyquaternium-47, Menthol, Capryloyl Salicylic Acid, Citric Acid. Clarifying Solution: Active: Salicylic Acid, 0.5%. Inactive: Water, Alcohol Denat., Propanediol, Glycolic Acid, Sodium Hydroxide, Capryloyl Glycine, Phenoyxethanol, Benzyl Alochol, PPG-26-Buteth-26, PEG-40 Hydrogenated Castor Oil, Menthol, Tremella Fuciformis, Polysaccharide, Butylene Glycol, Ophiopogon Japonicus Root Extract, Scutellaria Baicalensis Root Extract. 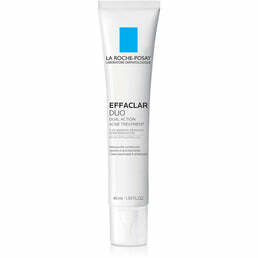 Effaclar Duo Dual Action Acne Treatment: Active: Benzoyl Peroxide, 5.5%. Inactive: Water, Isostearyl Alcohol, Glycerin, Pentylene Glycol, Silica, Carbomer, Capryloyl Salicylic Acid, Potassium Hydroxide, Tocopheryl Acetate, Acrylates/C10-30 Alkyl Acrylate Crosspolymer, Disodium EDTA, Epilobium Augustifolium Flower/Leaf/Stem Extract.